At least seven children of a family died when the car in which they were travelling fell into a ditch on the roadside in Panchmahal district. 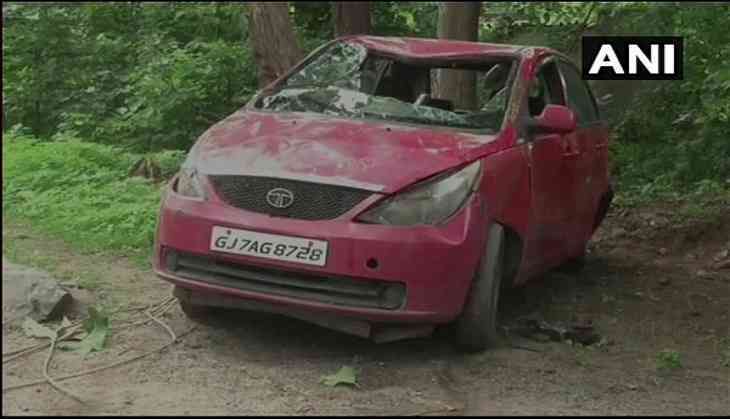 The incident took place on Sunday when the driver lost control of the car on Halol-Bodeli road near Bhat village in Jambughoda city. Ten members of the family were travelling in the car. After the car fell into the ditch, locals rushed to the spot and rescued three of the ten people in the car. However, they could not save seven children. Inspector AB Devdha said, "Ten people including seven children were present in the car when it fell in a drain in Panchmahal. Seven children have died. Three people have been rescued, and are currently undergoing treatment." All the deceased belonged to the same family in Bodeli town and were returning after meeting a relative.